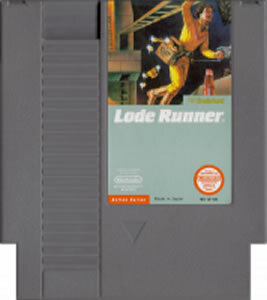 Lode Runner original NES Nintendo Game cartridge only - Cleaned Tested and Guaranteed to Work! This game is all about collecting gold pyramids across jagged terrain, all the while avoiding greedy Bombermen (yes, this is Bomberman's first debut). 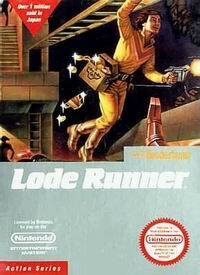 The Lode Runner is able to dig pitfalls to trap the Bombermen, allowing him extra time to collect far-off gold blocks. The game is simple, very "Crazy Castle"-like, but not as repetitive. 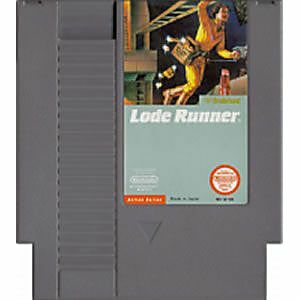 The good replay value of this game stems from the "stealth" and "chase"-like aspects of the gameplay.